It’s Gameloft week on Windows Phone, folks. Not only do we get a long, long, long-awaited new Xbox release from the big G (Real Soccer), but another one of their titles is going on sale as well. Let’s Golf 2, normally priced at $4.99, drops down to an affordable $1.99 this Wednesday. This continues the awesome trend of greater-than-50-percent discounts on Xbox titles. 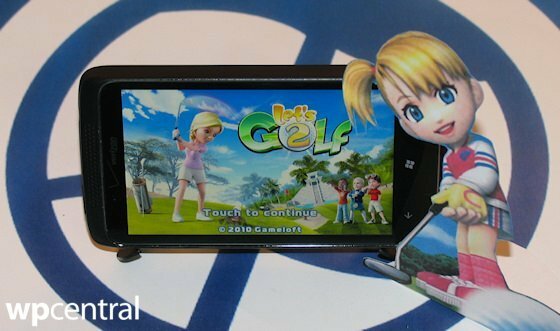 Let’s Golf 2 is an arcade-style golf game modeled after Sony’s popular Hot Shots Golf franchise. Features include cartoony players, clean 3D graphics, six 18-hole courses, and both Career and Challenge modes. Even if you don’t care about the sport of golf at all (like me), the game is actually very enjoyable and easy to learn. Check out our full review for more details. One of the reasons I wasn’t enthusiastic about Fusion: Sentient headlining the return of the Deal of the Week program, beyond the game’s utter crapulence, is that it suffers from a broken Achievement that the developers will never fix. Unfortunately, the same applies to Let’s Golf 2, except for the crapulence part. Initially Let’s Golf 2 launched with two broken Achievements, though a subsequent patch fixed one of them. 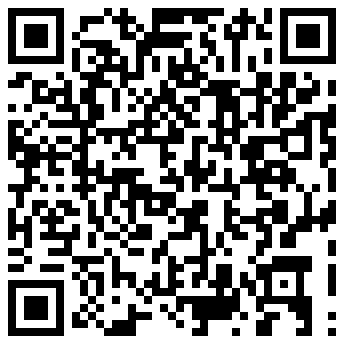 Unfortunately, the ‘Secret Code’ Achievement remains unattainable by design. 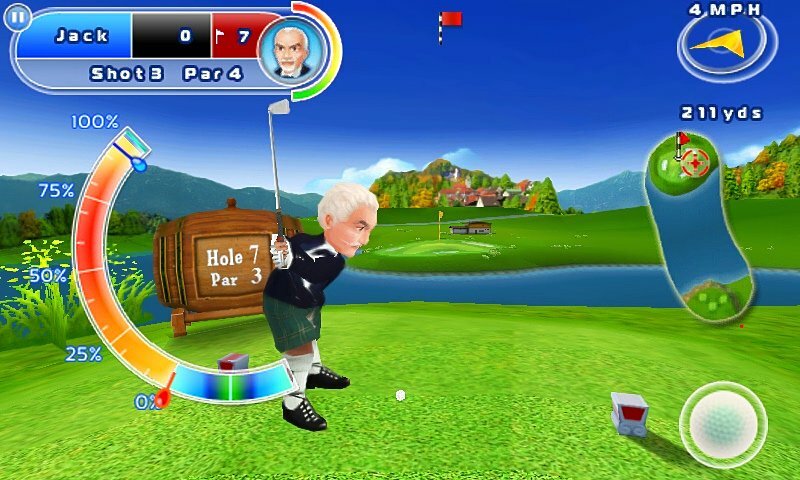 That’s right, the Achievement’s requirement of inputting a special code in order to unlock the ninth golfer is simply impossible in the Windows Phone version of the game. Why the developers would do that, and how it slipped by Microsoft’s certification team, remains a mystery. Still, if you can overlook that small blight on your GamerScore (I only have about 54 percent of my games completed anyway), Let’s Golf 2 remains a lengthy and fun title.